Ian_Carter, Tim2520, Ezus Jezus and 34 others dapped this. Useless Eurocac went 3-2-20 and took the L.
Squirrel from Meteor Man dapped this. The 2000s...lol. The equalizer now for these guys is that they're getting to be athletic enough and while they were always comparably skilled to other black players in prior eras, but now they're even more skilled. tuckdog, 42 Monks, McPiff and 2 others dapped this. Ty-Fife, tuckdog, 42 Monks and 12 others dapped this. Is this actually surprising to anybody? Sterling Archer, Greenhornet, LebronsHairline and 1 other person dapped this. NoHalfWay, L. Deezy, Pollock and 15 others dapped this. L. Deezy, Armchair Militant, 42 Monks and 7 others dapped this. European and college basketball has historically been more difficult to score in than the NBA. 90s and early 00s basketball hide the history of fast paced up and down high scoring NBA. Barry Sanders, Ty-Fife, PHamm and 7 others dapped this. Ill Clinton and Coli Hoecomb dapped this. Did the run & gun 80's not happen? Did the illegal defense era not happen? The only time defense ran the NBA was during the Handcheck + Zone overlap period from like 99-04. DarkSkinSamurai, Ty-Fife, GiantGonzalez and 7 others dapped this. Brosef, 42 Monks, Michael's Black Son and 8 others dapped this. inflated stats era. 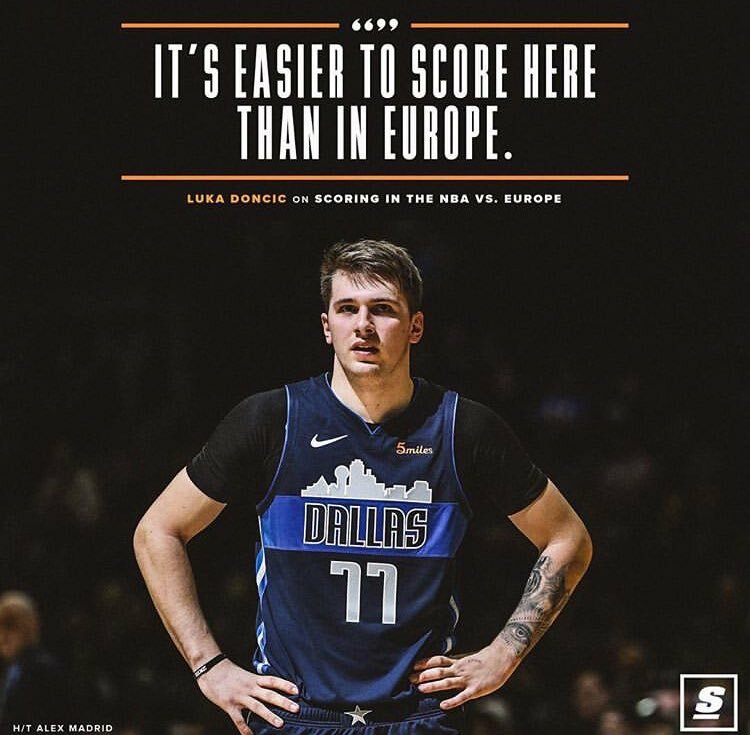 even the guys in the NBA acknowledging it. Ian_Carter, Ty-Fife, C.Holla and 27 others dapped this. Future generations will be feasting. Reeva Payge, GreenGhxst, LebronsHairline and 11 others dapped this. They literally engineered the league/game to make people like him more successful. Ian_Carter, Beer Drinker, Ty-Fife and 70 others dapped this. In Europe you see real defensive schemes consistently. In the NBA it's just in the playoffs. Which is why guys like Kobe and LeBron say real basketball is the playoffs. DarkSkinSamurai, Ty-Fife, C.Holla and 61 others dapped this.